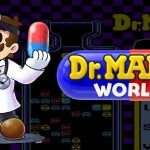 Over the last few years, online video game stores have become a huge force in gaming and you don’t need to leave the house to get video games, or spend hours online searching a decent Web-based casual game. Whether you are a PC, a Mac or a Linux owner you can get hundreds and thousands of new, full games over with a touch of a button. The services are free, and they often have better deals and bigger libraries than retail stores. The same goes for any of the major game consoles, but we’ll talk more about them in the near future. For the majority of PC gamers, Valve’s Steam is a real treat providing it’s users insane deals, excellent customer support, an easy-to-use interface, and a wonderful selection of games. There is very little not to like here. With that said, Steam might be the biggest online game provider but thankfully there is still a lot of room for competitors. Origin from EA is up and coming, while we also have Impulse, GOG, and a whole lot of other places to get your games from. 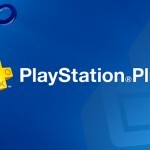 We hand an extensive look at what we consider to be the best online game providers around and we tell you what we think. 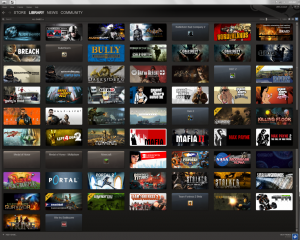 Steam is one of the oldest and currently the largest game provider of our era. The service launched back in 2002 and was originally designed to make patching games like Counter-Strike easier and smoother. 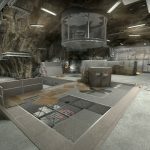 What made Steam hit the jackpot and become the premiere platform for purchasing and downloading PC games online was the success of Half-Life 2 and the growing number of games using Valve’s Source engine. When it comes to new releases it is fair to say that if there’s a major new release for the PC, Steam will probably have it. There is a huge selection of currently available and upcoming titles available for purchase or preorder. When it comes to selecting older titles Steam’s library goes back several years, and includes some of the best releases from the last two decades. like 1994’s X-Com: UFO Defense, 1998’s Half-Life, the recently reviews Cave Story + from 2004, and 2005’s Psychonauts. 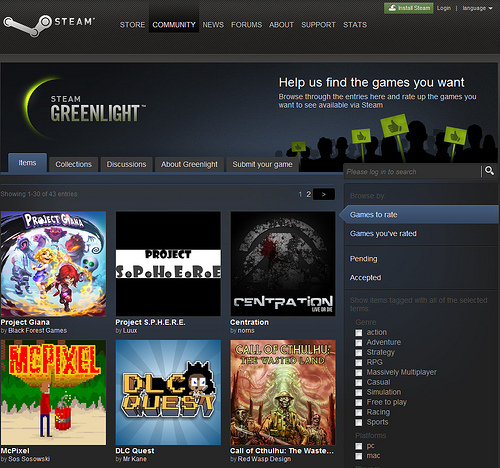 Pricing on Steam is similar to retail releases and the most popular titles retail at $49.99. 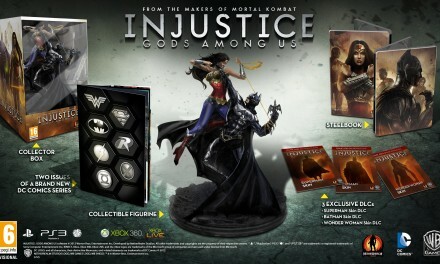 Older games, depending on their release date and popularity, can cost anywhere from $5 to $19.99. What makes Steam really special are its regular and seasonal sales, cutting prices of certain games at certain times and offering a free weekend to test a game to its limits. Weekend and mid-week sales reduce prices on games from 20 to 75%. Larger, thematic sales occur on a seasonal basis and usually include discounts on publishers’ entire libraries or bundles of their top games. When you purchase a game from Steam the service automatically handles your download and installation of the game, putting local game files in its “steamapps” folder and getting them organized in the background. 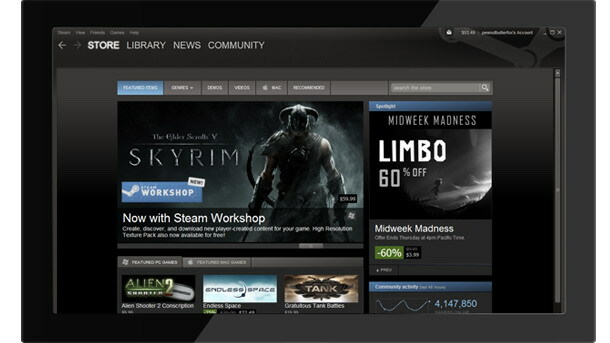 In addition to advertising, selling, downloading, and managing your games (including automatic updating/patching), Steam offers other services and features. These include VOIP using Skype’s protocols, Instant Messaging service, Gaming News RSS feed. Furthermore the service offers matchmaking inside games and social media services outside of games, thanks to a Friends list with text and voice chat and support for Clans (groups of players). Friends can jump into each others’ games, or invite them into their games, and Clans can organize group activities by setting up calendars and posting server Ips. On August 13th Valve revealed that they will bring to Steam a wide range of community features which will include Game Hubs , that provide a quick way for users to browse the best of a variety of content as rated by the community at large, group updates; Player-created groups have been redesigned so it’s now easier to see what a group is all about and who is participating in, the ability to mark screenshots, videos, and workshop items as Favorites to save or share with friends and may more..
Last year Valve released a Steam client for Mac OS X, and currently all major Valve releases and a handful of other games are playable on both Mac OS X and Windows through Valve’s SteamPlay. 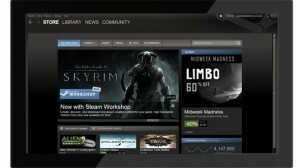 Steam also features a client for iOS and Android devices released in late January 2012. 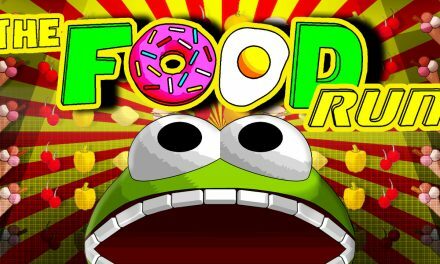 The application allows players to log into their accounts to browse the storefront, manage their games, and communicate with friends on the Steam community. But innovation with Steam doesn’t stop here, recently Valve has just launched Steam Greenlight, a new system that enlists the community’s help in picking some of the next games to be released on Steam. 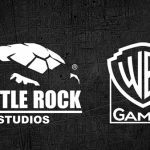 Developers post information, screenshots, and videos for their game and seek a critical mass of community support in order to get selected for distribution. Steam Greenlight also helps developers get feedback from potential customers and start creating an active community around their game as early in the development process as they like. Valve have also announced that from September 5th new software categories will appear covering a whole range of different tools and apps. The company hasn’t announced what we can expect to see yet, other than to say it will include everything from “creativity to productivity” software. The categories we’ve seen include racing, sports, accounting, animation & modeling, audio production, design & illustration, education, photo editing, software training, and utilities. 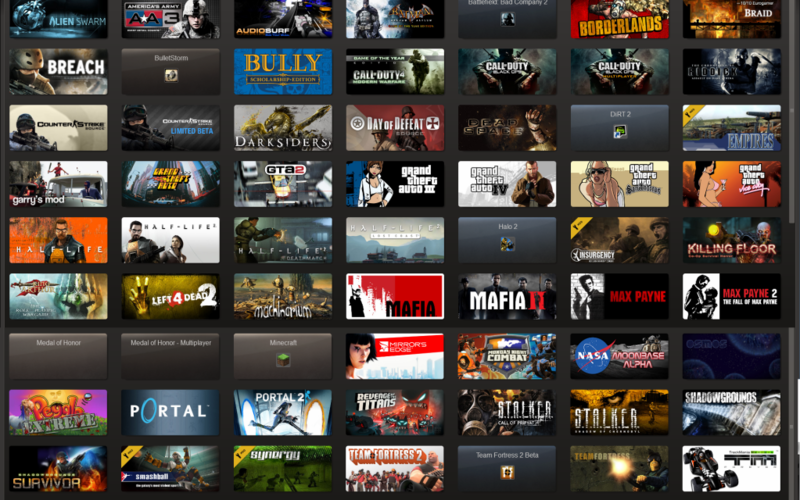 As of August 2012, there are over 1500 games available through Steam, and 54 million active user accounts.The concurrent users peak was 5 million on January 2, 2012. Although Valve never releases sales figures, Stardock, former owner of competing platform Impulse, estimated in 2009 that Steam had a 70% share of the digital distribution market for video games. EA’s Origin service is one of the latest additions to the digital distribution field that even though it boasts a great overall design it limits the user to the selection of games he can choose from. As an EA oriented store you’ll mostly EA games on Origin, which means you have to look elsewhere for games from Ubisoft, Activision, Valve, or others. The platform has been opened to other publishers, like, Warner Bros, THQ and Capcom, meaning once you’ve installed it, you might as well enjoy the regular sales on non-EA content, too. 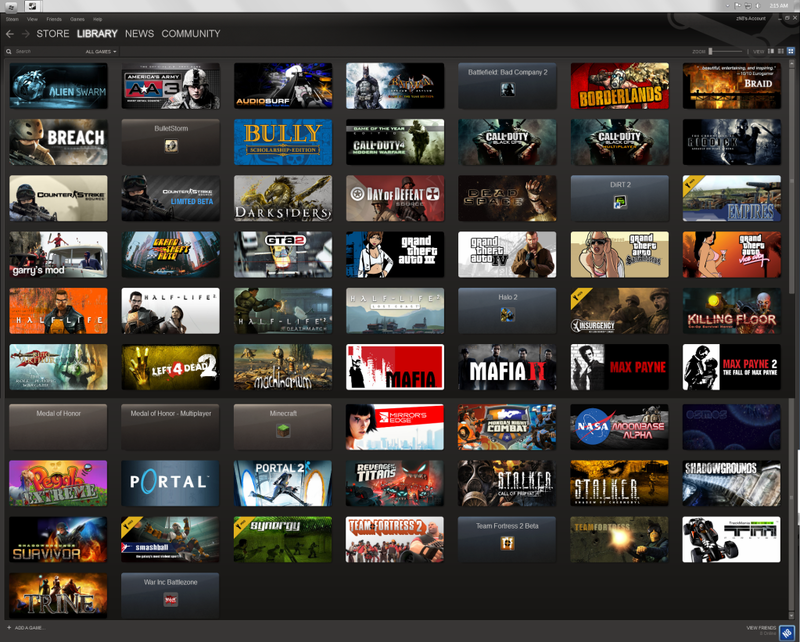 Compared to Steam’s massive library Origin falls short. What you will find with great ease are the titles EA put out in the last few years including Dragon’s Age 2 and Star Wars: The Old Republic. 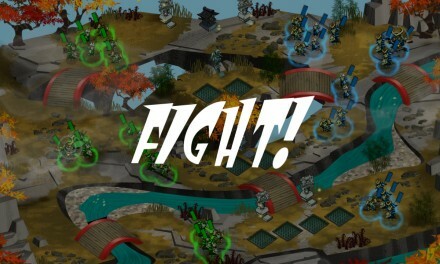 Unfortunately, Origin doesn’t offer much in the way of classic EA titles like Privateer or Syndicate (the classic strategy game, not the upcoming action game). For those games, you’ll have to look at GOG.com, Steam, or eBay. Pricing is the same as retail PC games, with full titles like Mass Effect 3 available for $60, expansions like The Sims 3 Pets available for $40, and older games like Mass Effect available for $20. EA’s Origin Store currently has a whopping 50% off selected titles including a few of EA’s latest releases like Sims 3 Pets, NFS the Run, Crysis 2, Dragon Age 2, Dead Space 2, and Need for Speed: The Run. Like most other PC game distribution systems, Origin downloads games to the local hard drive and installs them as if they were installed from a physical copy of the game. However, Origin has the added benefit of GaiKai, an OnLive-like cloud gaming system that Origin uses to offer free and almost instant streaming demos of games. Only a handful of demos are available at the moment , and most of them can be played on GaiKai’s web site, but it’s a nice system that should see some growth, for its flexibility. Origin also offers a social function which, over time, will connect a player’s profile with friends lists and a cross-platform feed that shows what your friends are playing and where.That social element comes through Origin’s desktop application. 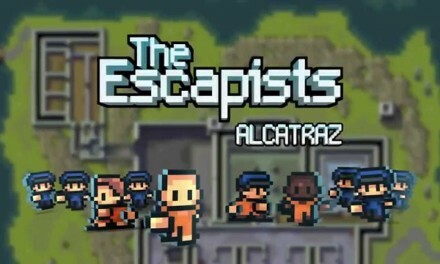 After downloading it, users can connect with friends and find out what games others are playing. Users of the desktop app will also be able to download games to their Pcs. There aren’t any achievements or trophies like in Steam, and there isn’t much community support besides a friends list, but it’s still present. One of the reasons Origin is not too popular is that most of the times the EA customer support is unable to cope. Still, it’s almost certain to improve. 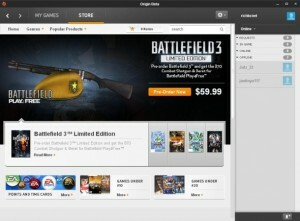 As of February 2012, Origin has been installed by 9.3 million users.